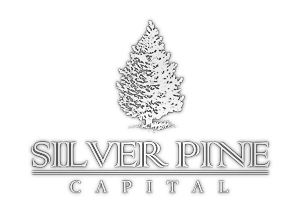 Silver Pine Capital (SPC) was founded with the goal of providing risk-conscious clients with unbiased, custom-tailored investment strategies to meet both short and long-term goals. The central tenet of our process is discipline, a focus which helps our clients avoid chasing returns and assuming unacceptable risks. SPC is independent and privately owned by its partners with a fiduciary responsibility to always invest in the best interest of its clients. Moreover, our firm is a fee-only advisor and does not accept compensation from anyone other than our clients. SPC is a state-registered investment advisor based in Boston, MA.